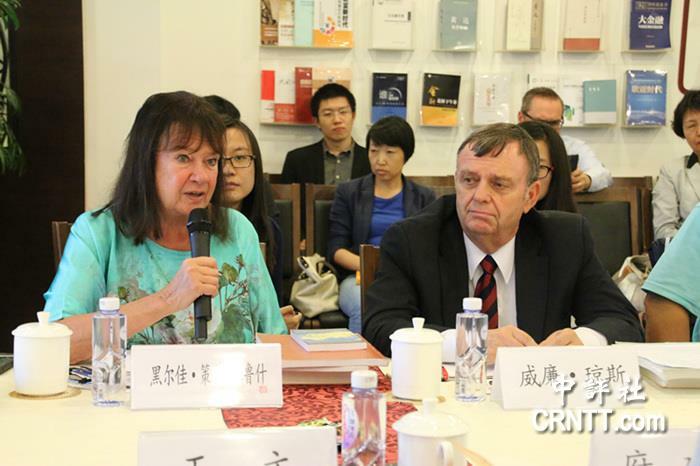 September 29 – At a press conference today in Beijing sponsored be EIR and the Chongyang Institute for Financial Studies, Helga Zepp-LaRouche, the President of the Schiller Institute and William Jones the Washington Bureau Chief of Executive Intelligence Review were keynote speakers, presenting the Chinese report to the public. 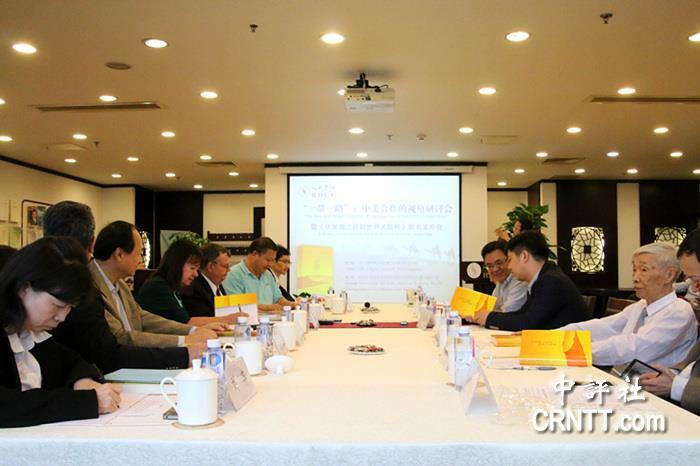 There were around 70 people in attendance, including 15 representatives from the Chinese media as well as a few officials from government entities and from numerous think-tanks. 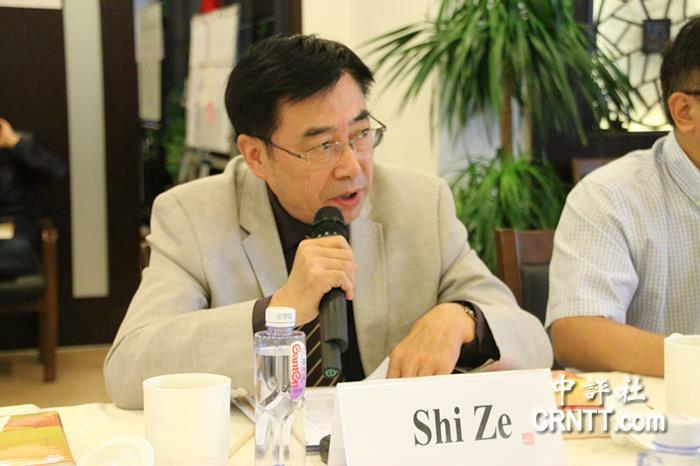 In addition, nine leading Chinese scholars also made comments about the report and its significance for the Chinese “One Belt, One Road” project. 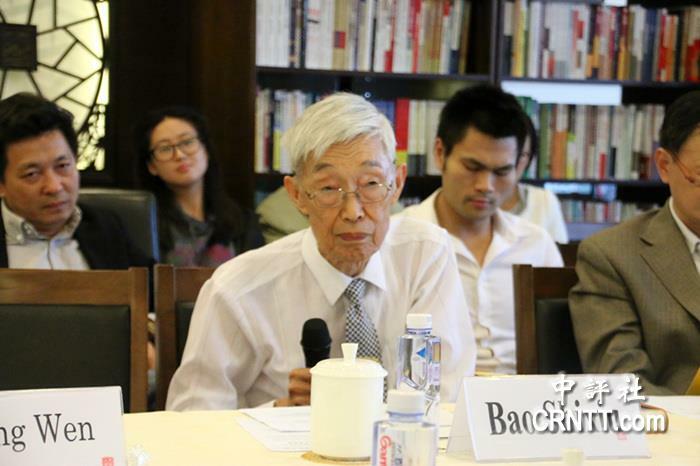 Chongyang Institute had also agreed to be cosponsors of the report. Helga Zepp-LaRouche outlined the work of the institute in working on this project for over 20 years, outlining the work that went on for decades in realizing the report. It represented a unique opportunitz for changing the course of history, she said. ``We must get away from geopolitics and move to a new paradigm for mankind,´´ Zepp-LaRouche said. The comments from the scholars were absolutely effusive about the report. One scholar said that he knew the Schiller Institute for a long time and had learned much from their ideas. ``They have very special ideas about the economy, emphasizing the notion of physical economy. Lyndon LaRouche developed the notion of negentropy to explain the laws of economics. We cannot allow capital to control everything. We must control capital.,´´ he said. Another scholar noted that the Schiller Institute had a different view of the economy, emphasizing the underlying importance of infrastructure. `` Mrs. LaRouche has made great progress with her ideas.´´ he said. One scholar noted that the OBOR represents the beginning of a new world order and that we must find out how it differs from the world order led by the United States. One scholar from the Chinese planning agency underlined the uniqueness of the report, praising the work behind it and urging Chinese experts to take heed of the methods of analysis used in the EIR report. Again, another scholar who had just finished reading the Chinese report the evening before said that it had obviously been written with a global perspective, noting that it is about predicting the future rather than simply explaining the past. There was a lively Q&A and many people came up to get their copies signed by the authors. Chongyang has aready purchased 1,000 reports for distribution to their networks and to scholars in China.